Cindis World: Because I can, my Li'l Priss! Because I can, my Li'l Priss! I know, I know, proud grandparent syndrome. 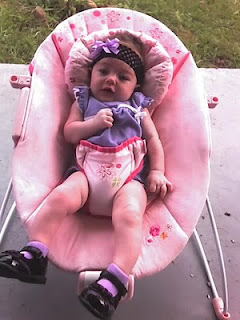 But when I post her picture, every time I am doing anything with my blog, I get to see her! Oh yeah, I basically get to see her in real life every day anyway, lol.